You see, children are stretchy, and they never grow up all at once. Something happens that stretches them a lot all at once, which leaves them a little bit different shape when the thing stops pulling than they were before. Sort of like pulling taffy I think. 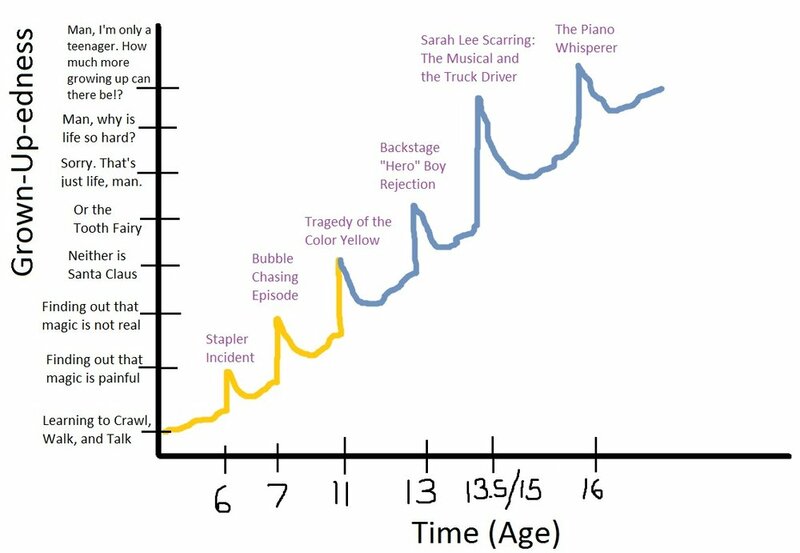 And this happens over and over until the child is approximately grown-up sized and knows what life really is. When I was 6, my first taffy moment occurred. 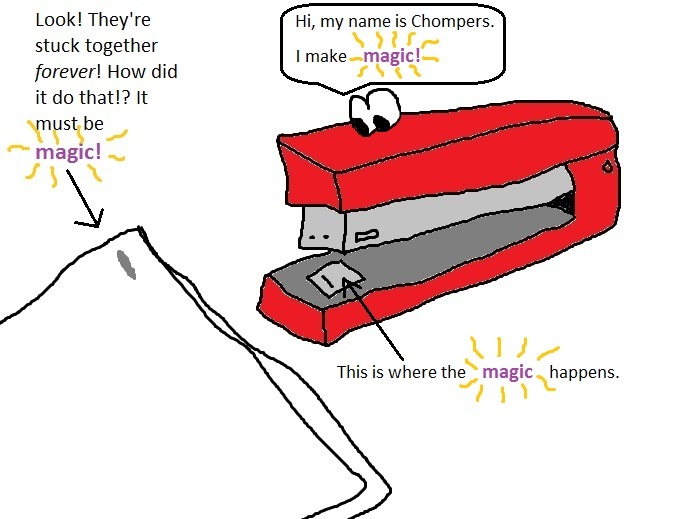 When I had a burning curiosity about staplers. I knew that somehow, things (usually paper) that were placed on the shiny part were magically connected forever. One day, I found a stapler that my mom had left on the kitchen table. I picked it up, curious, and realized that my tiny little fingers would fit on the magical silver part, and that maybe I could get them magically stuck together forever! Please, do not ask me why I thought this was a good idea. Maybe I was lonely, and the idea of my finger having a close friend forever appealed to me. But instead, I like to think of this moment as my first hypothesis and scientific experiment. If I use this stapler on my fingers, they will be magically stuck together forever! Step 1: Place stapler on table and place two fingers together centered on the magical silver part. Step 2: Press the top of the stapler down slowly but firmly. Step 3: If your childish muscles are too underdeveloped to successfully complete step 2, hit the top of the stapler with your fist as hard as you can. Fingers were temporarily, painfully stuck together. I immediately felt like the stupidest 6-year-old ever for believing that magic was painless. And was slightly impressed with myself that I had managed to actually connect my two fingers and that the staple holes were pretty much in the middle of my finger. And really wanted to run down the hall and bawl to my mother that a crafty raccoon had made me do it and wasn't it so stupid for thinking that it would be fun?! But I didn't want my mom to realize that she had raised a very stupid child, so I just sucked up my tears and yanked out the staple myself. Then I stood there in the hall for a minute, floundering in the new-found emotion of "feeling stupid," also known as "being self-conscious," which is pretty much a hallmark for becoming an adult as far as I can tell. And I could never look at Chompers the same again.